I haven’t done any product reviews in a while except for Martens 10 recently, so will do a few serially resulting from my recent London trip. By this I mean, for beers I brought back. I tweeted regularly impressions of beers I liked during the trip. 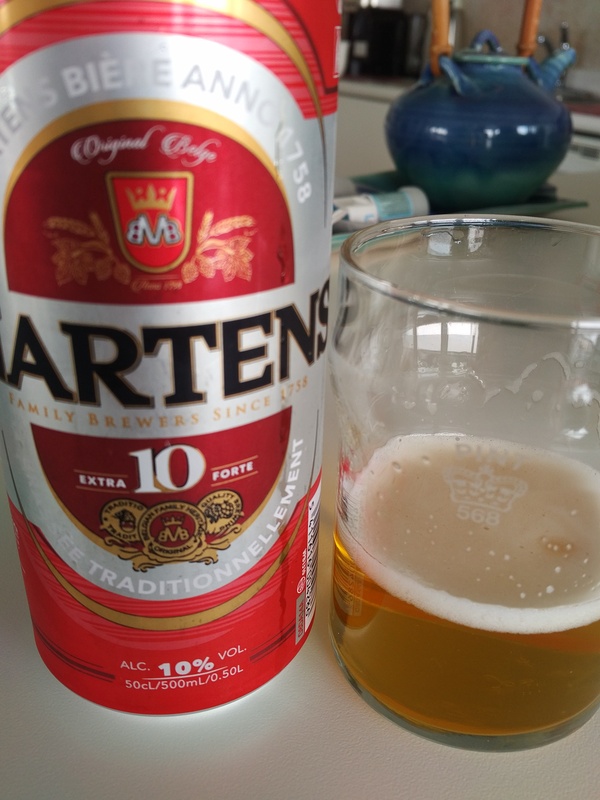 (There were many beers I didn’t like, but I tend not to feature them mainly because taste is relative and also, generations often reverse preferences, as to sour or cloudy beers, say). We spent a day touring Gloucestershire in Cotswolds and I took the opportunity to try the cask bitter of picturesque Donnington brewery. It’s run by the Arkell family who also operate the Arkell brewery in another region. I tried two Arkell’s beers at the Great British Beer Festival last week at the Olympia, and very sound they were. 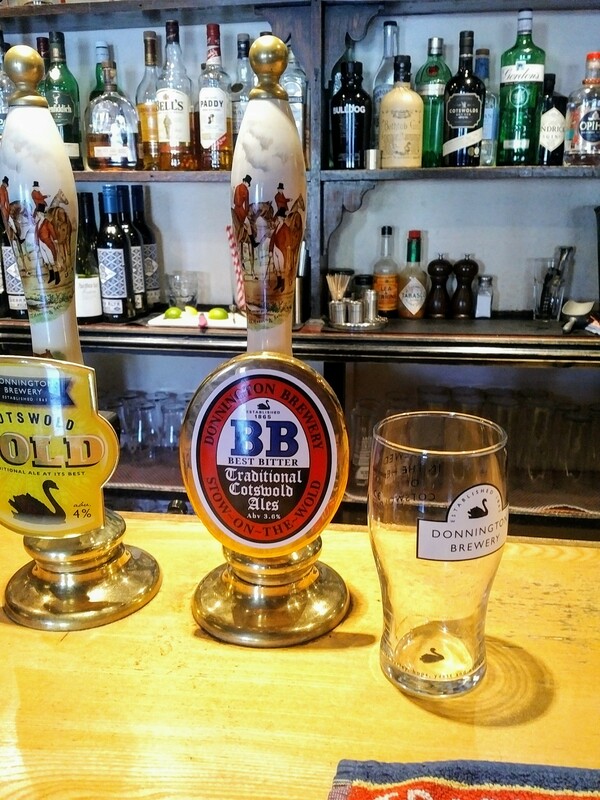 Donnington’s draught BB, sampled in Stow on the Wold in a pretty stone pub, was average at best imo. True, at under 4% abv one doesn’t expect a lot but it was watery and just this side of tart (although seemingly in good condition). 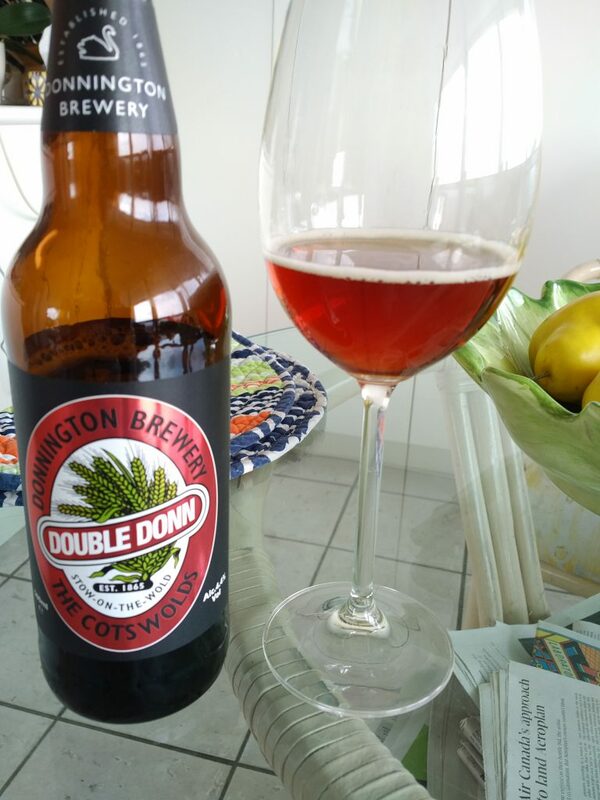 I doubled down by buying the bottled Double Donn, stronger and advertising classic English ingredients such as Maris Otter malt and Golding hops. This was most acceptable, not the best bottled pale I’ve had, but with a good malty/spicy taste that seemed almost a brown ale, the “brownest” of the brown bitters I’ve had. It’s ideal for drinking at shelf temperature, as anything colder than “cellar” really takes away the essential character. As with most British-styled beer including craft examples, one always wants “more”: more hops, more malt, but what I got was well-made and enjoyable. This is the older style of U.K. bottled top-fermented beer, filtered and perhaps pasteurized. If this beer had been on draught that day, it would raise a thumbs up from any beer fan. Not every beer has to be outstanding, gastronomic, aspirational. It can be good, solid. An Ontario equivalent to this beer, not the same in taste but parallel in character, is Upper Canada Dark Ale. There is a house taste I could connect to the BB cask but the bottled was, in our estimation, much better. 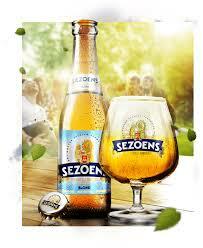 Often the reverse is true, the draught exceeds a similar beer when bottled. The world of beer has continual surprises. P.S. 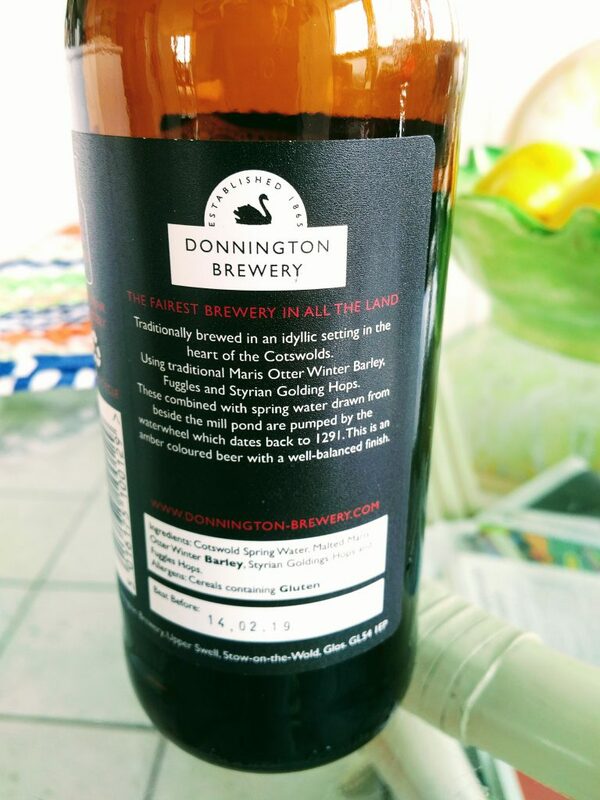 I didn’t try the Gold version of Donnington cask seen in the image above. 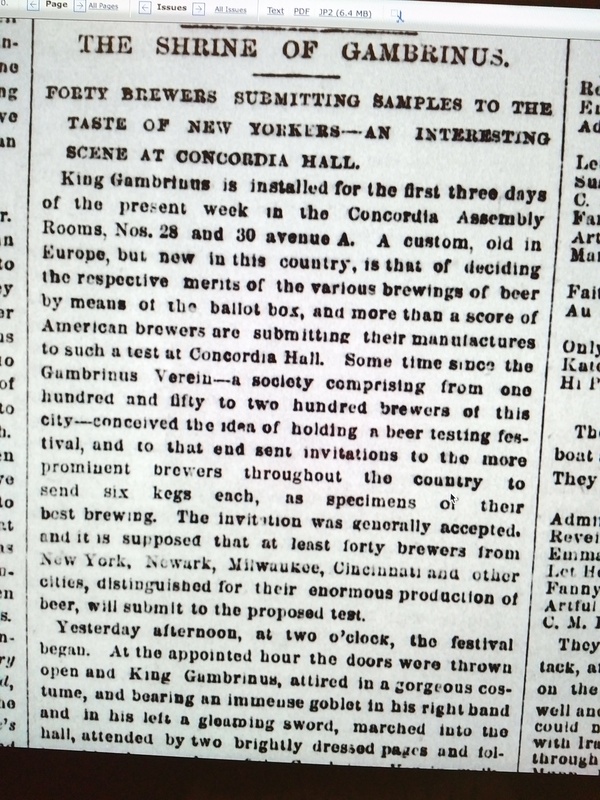 Or six or eight, Christine Frederick airily advised readers in her 1933 article, “The Beer Buffet”. She was informing hostesses of suitable foods to serve with beer once forthcoming repeal of Prohibition made such affairs proper again. To emphasize: beer had never really gone away, speakeasies and many hotels served it sub rosa, hence without imprimatur of polite society. Christine Frederick was the home economist wife of George Frederick, founder and head of the Manhattan-based Gourmet Society from the 30s-60s, I’ve profiled the group earlier. Its audience included the prosperous middle classes and aspirant hostesses. The meals she suggests are mostly Teutonic in flavour and show the deep influence German customs and manners had imprinted on American life by then. Her prose strides along, lots of impactful nouns and adjectives create a lively picture. You can see the influence of her work in brewers’ print advertising into the 1960s. The pretzels, hams, honest tankards, and brightly-coloured, checked or striped tablecloths were all staples. The motif was downscale elegance, a kind of rustic chic really – that style in general has returned to fashion today, indeed for all food of any complexity or social scale, except perhaps in temples of old-school cuisine on the Right Bank in Paris. Frederick did not discuss brands or types of beer, other than specifying both “ale” and “beer” (lager). Beer was still beer, for the most part, and in truth, families were happy to serve what they could get, parched as they were for the official stuff for half a generation. But it was all about the food, anyway. Beer, any kind, is firmly placed as companion for cold food of a simple, vigorous nature. The idea to pair different beers with courses for a normal dinner is far in the future although, as I’ve written before, culinary writers had already proposed beer as suitable to accompany specific cooked dishes, porter with hot lobster in mid-1800s Ireland, say. 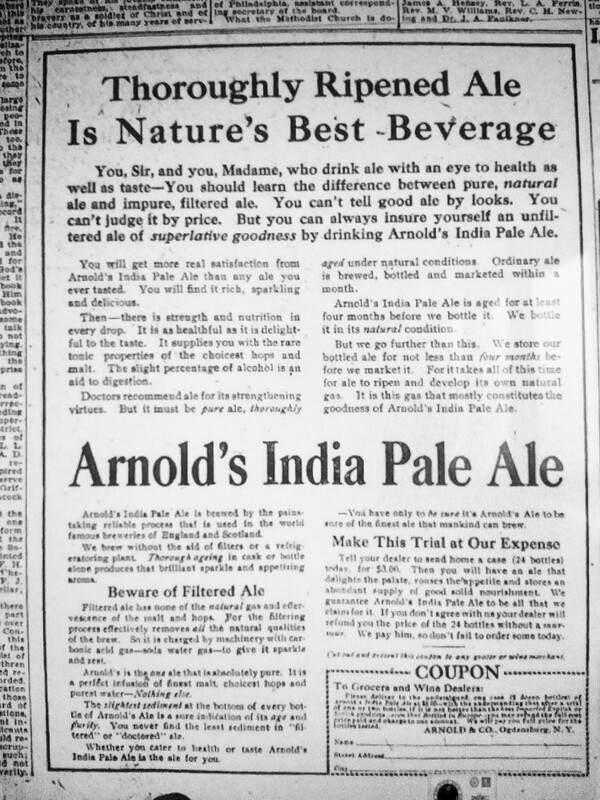 Let’s organise a 1933 American “beer buffet”. 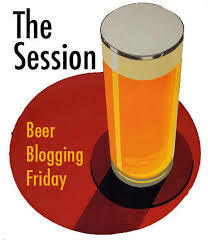 For beer, we would use good blonde lager, good dark lager, still popular in the Thirties in the U.S., a cream ale, a porter or stout, an import or two such as an English pale ale or German seasonal type. Not so bad, eh? Now that beer is again legal, many a hostess is desirous to know how to serve it, what to serve with it, and the new tech­nique and etiquette of beer, which is far removed from the swinging door of the gas-jet age. Any light lunch may use beer as an accompanying drink, but hearty or simple, the foods served with the frothing glass are masculine in character. They are also salty, thirst-provoking and simple snacks, but it is a good rule to have plenty of them. ground for the tall tankards and mugs of the beer-service. Glass­ware may be equally bright red, blue or amber shades. On a round table, especially a round barrel table, two narrow runners of crash toweling, placed crosswise, are good-looking. The accessories used with beer may be of pottery, copper or wood, but in every case they are of sturdy design, with serviceable base and stout handles. Pottery plates and mugs often have cartoon designs after the manner of the dear old Munchen and Heidel­berg days. Beer has at least brought back the almost vanished taste for foods which are sour, sharp, spicy and bitter. We have perhaps gone “whipped cream and ice cream-sodaish” for just too long! Certainly the best foods to serve with this drink are sour, pickled smoke [sic] relishes and appetizers, or salted breads and crackers or the strong-flavored cheeses. Swiss cheese, Liederkranz, Gorgonzola and Cheddar cheese are pre­ferred choices, while Dill pickles, Chow-chow, Chutney, pickled beets and small white pickled onions take an important place on the beer party table. Breads are dark: pumpernickel, rye, rye crisps, Swedish health bread. 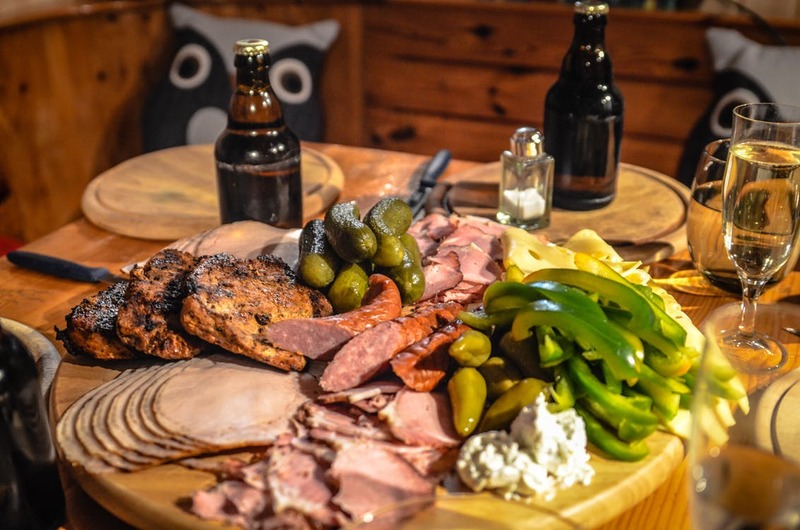 All are together again with beer, while the meats used are also of the smoked or heavier types such as ham and the whole long list of sausages, head cheese, etc. Note re images: the quotation above is from the newspaper article linked in the text, another from the excellent Fulton History archives. The buffet image is from Pexels at this source. All intellectual property in the sources belongs solely to the lawful owners, as applicable. Used for educational and historical purposes. All feedback welcomed. *Exception should probably be made for the charcuterie plate of the modern beer bar and brew pub: this is a descendant of the type of style Frederick described. 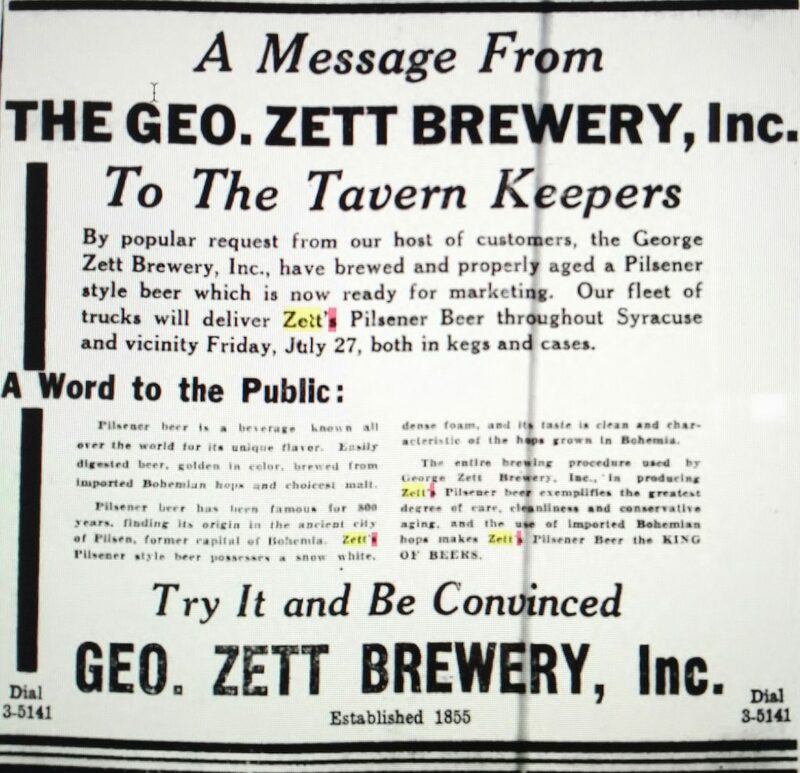 In 1937, exactly 60 years after the Gambrinus Verein, a group of mostly lager brewers in New York, held a memorable public tasting reported in our post yesterday, another tasting was held in the same city, also blind or semi-blind perhaps. This was a much smaller affair and restricted to a nub of acting royalty in town including luminaries such as Gloria Swanson, Noel Coward, and John Gielgud. Here’s how it happened: British actress Evelyn Laye “tendered”, in swish Thirties lingo, a cocktail party for her theatrical friends. This certainly would have been on Fifth Avenue or the Upper East Side, not the Lower East Side, the crowded German-flavoured district that hosted the earlier, Teutonic tasting. You’ve seen cocktail parties in 1930s black and white screwball comedies or other films, haven’t you? The actors holding stemmed glasses and delivering witticisms, all dressed to the nines? That’s what the scene was. Gielgud or someone, you can bet it was after a Dry Martini or two, complained they couldn’t get proper English beer in Manhattan. Yet another sly dig by clannish Britishers on the ingenuous, open-hearted America, will it ever end?! In truth, as we saw recently, even the Waldorf’s bar then only managed to offer Bass Ale and Allsopp’s Pale Ale. 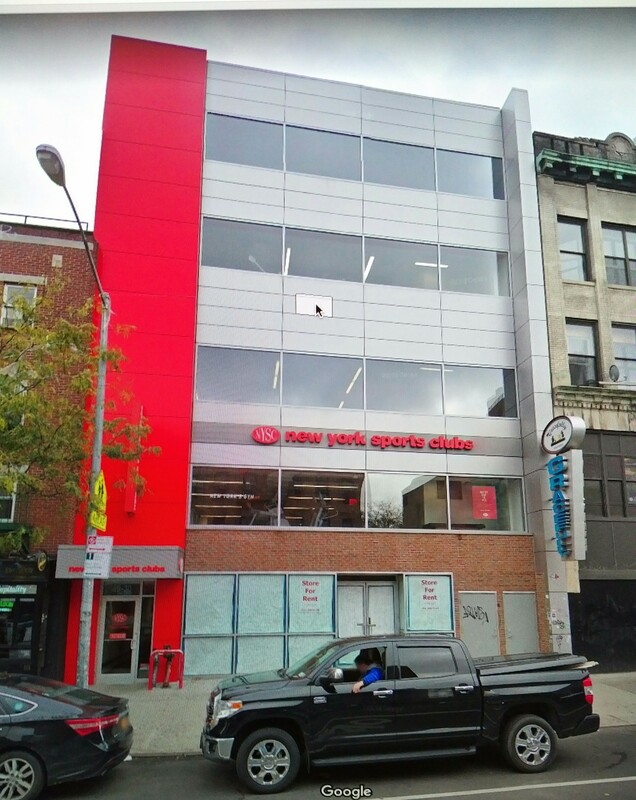 So there was something to the plaint, as the typical corner grocery would have carried mainly domestic (New York-area, then) brands. Only Gloria Swanson was available to defend the Stars and Stripes in the form of Yankee beers, as the party assembled were all U.K.-raised except for her. Perhaps it was she, then, who suggested a blind taste-off, with one object: can you tell me at least which is your fine English ale and which our lowly American produce? A servant was sent to scour Murray Hill or wherever they were for some representative brands, and off they were. Evelyn Laye tendered a cocktail party the other afternoon. Among the invited were Noel Coward, Gertrude Lawrence, Sir Cedric Hardwicke, John Gielgud, Brian Aherne and Gloria Swanson. The Britishers complained of the difficulty in obtaining British beer here – and so they conducted a blindfold beer-test to determine how many of those present could distinguish between British and domestic beer. … The sole winner able to recognize British beer was Miss Swanson – the lone American present. Hah! Trumped at their own game, as it were. Now, how could Swanson be so good at this? Was it just, um, blind luck? It turns out that biographies of Swanson report, not that she was a beer sage, although she may have been, but certainly a health food enthusiast. So interested was she in food and taste that she was vegetarian from an early age, and famous for carrying her lunch to work in a paper bag. A person with that level of interest in what she ate and drank could be taken to have a more acute/sensitive palate than the typical person. 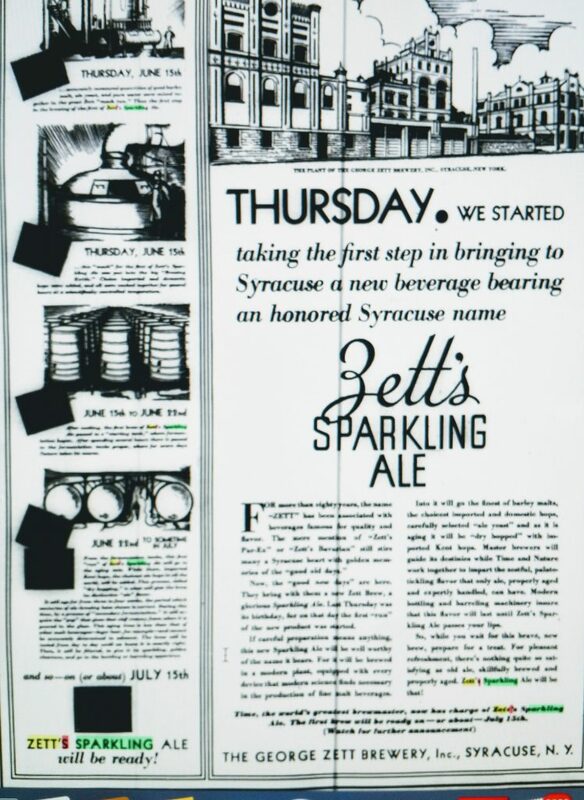 As well though, U.S. beer then was sweeter and more bitter than the mass-market norm today. True, it had corn or rice adjunct by then, but so did British beer, or the sugar that often today is still used in much production. Further, some British beer then used American hops and barley, in part. 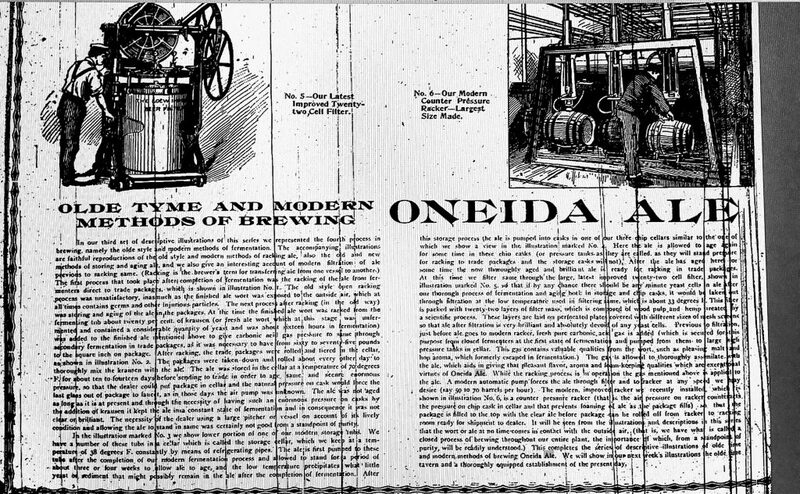 Some American beer was dry- or late-hopped with English varieties. In this light, and tasting blind, it’s plausible even the New York lagers seemed similar to the British beers. But Swanson knew the difference with her extra-sensitive palate. Of course in 2018 it’s even harder to do since a lot of pale ale and IPA is made the same way, from similar ingredients, on both sides of the Atlantic. Can’t you picture it though, Noel Coward pouting and complaining that export British beer doesn’t taste like it does at home, so the result was not fair? (Actually he would have been right about that, but never mind). Net-net, Gloria Swanson bested the Brits at their own game. It wasn’t to be the last time in the Gambrinal world. *To bring up the 1937 article search e.g., “Gielgud Swanson beer”. Recently I wrote an essay, The Harts of Quebec and Their Early Brewing Recipe, which the Culinary Historians of Canada have now published in their August, 2018 Newsletter. It appears as Part Six of the Newsletter, here. The article is based on blog posts I authored here two years ago but gathers the material, with some new information, in a single, sequential narrative. In effect it is a new piece of writing. A special thanks to the Culinary Historians of Canada for having published the piece. I am very glad to have joined this excellent group, whose events I have started to attend. Its well-written and edited newsletters describe a plethora of Ontario, Canadian, and international food events of good interest to anyone interested in food and history. The newsletters also contain period recipes, some recreated by the membership, reviews of new cookbooks and other works on food, and guest articles by the members. The group is composed of enthusiasts from diverse walks of life who share an interest in the culinary and the historical. Included among the broad membership are food writers, journalists, academics, bloggers, and restaurant and food industry professionals.